Stellenbosch University's vision to be Africa's leading research-intensive university, globally recognised as excellent, inclusive and innovative, a place where knowledge is advanced in service of society, is set to receive a major boost. 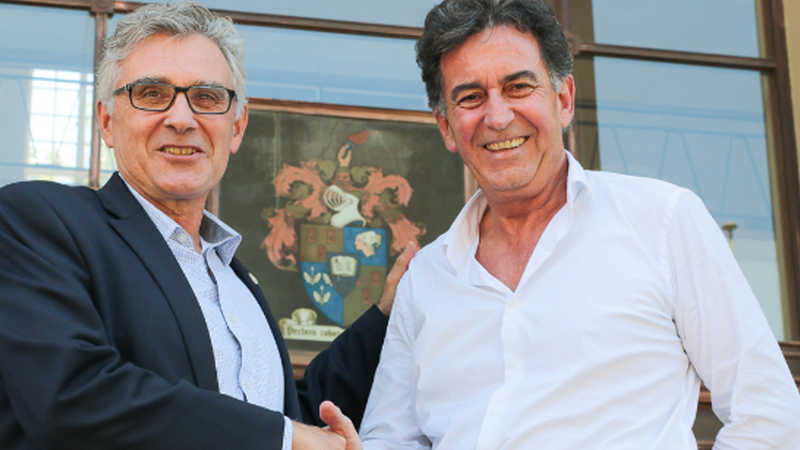 This is thanks to a new world-class innovation hub to be established on 30 hectares of land that were recently donated to the University by the Stellenbosch Wine and Country Estate (Pty) Ltd. The land donated is located in the Cape Winelands region of Klapmuts and forms part of 253 hectares of land owned by the Stellenbosch Wine and Country Estate; this land will be the site for the newly planned Stellenbosch Smart City development. Mr Jaap du Toit, in his capacity as chairperson and shareholder of the Stellenbosch Wine and Country Estate (the developer of this Smart City), was instrumental in making this donation possible. Du Toit, who graduated with a BAcc degree from SU in 1976, is also one of the founders of the investment management company the PSG Group and PSG Konsult.